Planting of spring wheat is finally getting underway in South Dakota. The federal Agriculture Department says in its weekly crop report that 2 percent of the crop is in the ground, well behind the five-year average of 50 percent. Last year at this time, nearly 75 percent of the spring wheat was seeded. About 2 percent of the oats crop also is planted, behind the average pace of 54 percent. 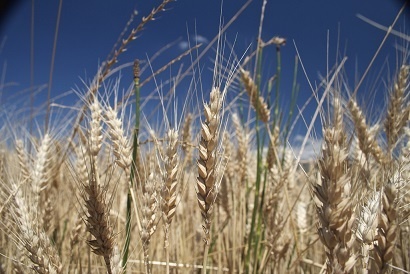 The state’s winter wheat crop remains mostly in fair-to-good condition. Topsoil moisture supplies are rated 87 percent adequate to surplus, up from 82 percent. Subsoil moisture is 72 percent in that category, up from 63 percent.